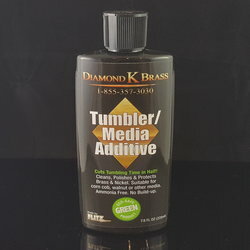 Diamond K Brass brand Flitz Tumbling Media Additive - 7.6 oz Bottle - A single bottle goes a long way. 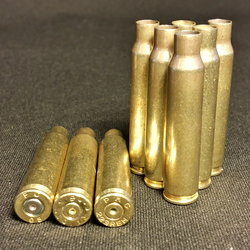 Diamond K Brass uses this additive to get all of our brass shining like new. Suitable for corn cob, walnut or other media. Cuts tumbling time in half. Cleans, polishes & protects brass & nickel. Will not harm ANY METAL or Primer.